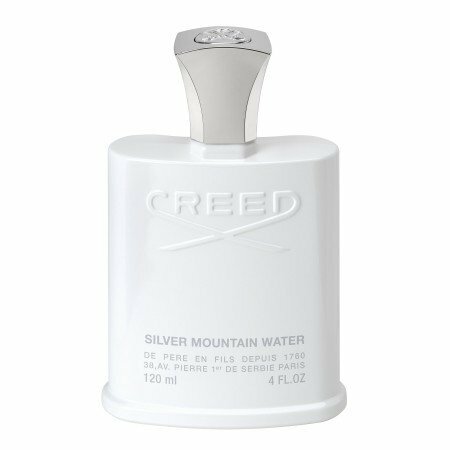 Silver Mountain Water (Eau de Parfum) is a popular perfume by Creed for women and men and was released in 1995. The scent is fresh-fruity. It is still in production. For me, Creed is a brand that never really warmed me up. With Virgin Island Water I have one in my collection, but the rest is less appealing to me. I find Aventus, Millesime Imperial and the like quite successful and acceptable, but they are far too expensive for me. Especially since there are usually good cheaper alternatives and twins that are available for a fraction of the price. 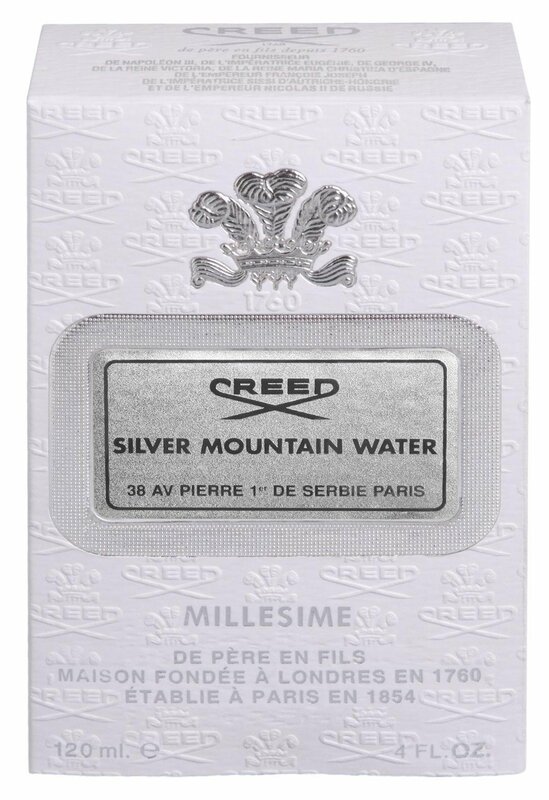 I also wanted to test this Silver Montain Water, as it is one of Creed's big litters in terms of sales figures. If you disregard the price: In my opinion, right. A really great scent that can't do much wrong with this DNA on warm days. I have tested it several times since I ordered a sample of this fragrance. Typical Creed price. One gets it already under 200 Euro a 100ml in some shops, but nevertheless a juicy price for the middle class. The fragrance is very uncomplicated right from the start and convinces me especially at the start. Especially the beautiful maritime flair I find quite pleasant, which is especially the case after about half an hour. Otherwise, the scent with bergamot, a little neroli, a nice relaxed tea note and especially currant is very pleasant and gentle. Especially the currant stands out if one may say so with this discreet Sillage. Unfortunately the Sillage is for me the biggest problem of this smell: This is extremely very close and weak after not even one hour. First of all with the beautiful musk sandal base is not much charisma. For people who like a body close Sillage a plus point. I don't need a giant fragrance cloud, but in this price range I expect at least some charisma. I have the same problem with Millesime Imperial. Too bad, two really great scents with unfortunately weak Sillage. I really like this Silver Mountain Water, but the DNA is not very complex and easy to build. One will find many good and above all inexpensive alternatives. Whether or not they can get their hands on this original is up to each and every one of them. Silver Mountain Water is the smell of a Spring morning spent hiking in the outdoors, lungs bursting with a mixture of clean, cold air and the pungent freshness of the surrounding greenery. In this picture there are yellow daffodils and buttercups growing by the footpaths and they release their sticky resins, pollen and dew on anyone attempting to cut them from their stem; it's that lingering aromatic scent on your hands and fingers what Silver Mountain Water is trying to replicate here: metallic and cold mountain air and pungent green nature in fragrance form. An accomplished creation. What a name for a fragrance! For everyone who loves fresh fragrances, this probably sounds like the ultimate fulfillment of all dreams. Sure, pure, fresh, natural, refreshing, reserved. Since I am very fond of fresh scents, I was curious to see to what extent he could fulfil these expectations. Silver Mountain Water starts off beautifully fresh with a very natural, but also restrained green citric, tart bergamot note, which is quickly underpinned by a fluffy, slightly soap-clean, musky note. Both components are the clearly determining protagonists on my skin over the entire course. The astringency of the bergamot in this fragrance is significantly attenuated by the musk, but is still well perceptible, so that it still retains a sufficient "character". The indicated fruit note (from the bud!) comes on my skin only very dimmed through (slightly berry), but also fits pleasantly into the very reserved character of the fragrance. A slightly fresh flowery and discreetly woody nuance (neroli, sandalwood), which interact well with the musk, also flow in. 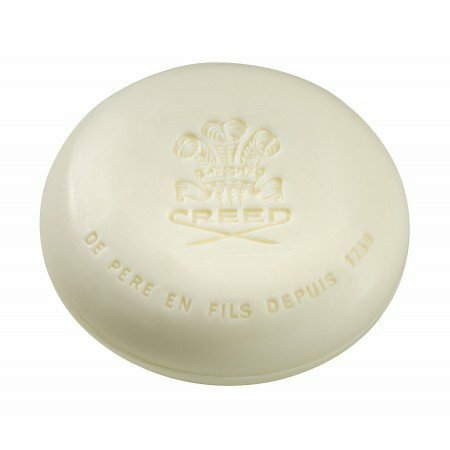 In the course of the soap-clean musk note clearly increases and gives the fragrance a very cultivated, green-white radiance, which is found in many fresh Creed fragrances by the tendency. Silver Mountain Water is a very reserved representative who only underlines his own appearance discreetly. This very clean bergamot scent reminds me in its lightness - almost permeability - its restraint and the slightly tannic purity among other things of the classic "CK One", which appeared one year earlier, whereby the Calvin Klein scent is rather casual and clearly more flowery and the Creed radiates an understated elegance. The Calvin Klein fragrance with its resounding success might have inspired Creed to become SMW. Sometimes, however, the very clean musk is a little too much for me, which is why SMW only fully satisfies the sparkling, refreshing part of a Fresh Scent for me at the beginning. All the other features mentioned above are handled really well by him. Both are very manageable. On my skin I perceive him about 4 hours, whereby he already loses much of his "presence" after one hour. The Sillage is very moderate. In my eyes it is already shortly after beginning a skin smell. On the clothes, however, it remains surprisingly long on days in constant quality and thereby present, which I experience rather rarely with fresh and light scents. Due to its fresh, clean and very reserved character, it can basically always be worn. You won't be noticed negatively, but you won't be noticed particularly either. As described above, its casual elegance makes it more suitable for more formal occasions, but it is also ideal as an office fragrance. It underlines a well-groomed appearance very subtly and is, apart from the warmer months, also well wearable all year round, since the musk already offers proper relining. For me it is a little bit more on the male side due to the slightly green astringency, but also very well wearable by women who prefer a little more astringent scents. 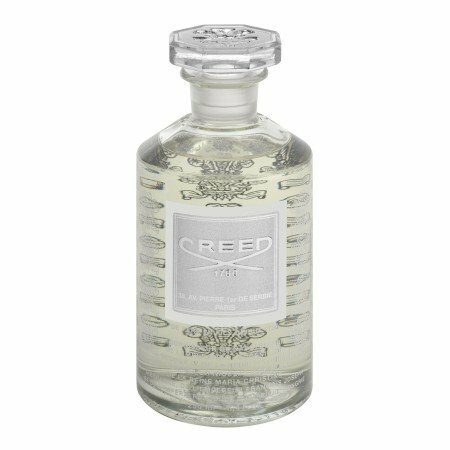 With Silver Mountain Water Creed has succeeded in creating a very restrained, casual, elegant, timeless, fresh and clean bergamot/musk scent, which for me is a skin scent and subtly underlines a cultivated appearance. If Green Irish Tweed is too traditional for you, Millesime Imperial too harsh and Aventus too loud, you should take a closer look at this pleasant man. Already at the beginning of the perfume season I was able to get a sample of SMW. I only knew Al Rehab Silver until then. At first I was shocked that a 4-5€ perfume could keep up with the smell and depends on the creed when it comes to projection. Already embarrassing for a fragrance in the price range. The start is citric and blossoming nectar-like sweet. The currants I take much later was so right. The base is musky with a fruity background. If you think in terms of gender patterns, I would say that this Creed suits a lady more than a man. After the second test, my first impression is confirmed and I would still rather place him in midfield. But there's one thing you gotta hand him. Except for the Silver, I don't know anything that smells like SMW. So very unique the composition. I am wearing SMW today and the silage is wonderful. This is an amazing fragrance that illuminates tea and black current. I recommend this fragrance for Spring and Summer months. This is a cold, almost-icy tea based fragrance with a sparkling metallic sheen. One example where the name and bottle design are completely evocative of the scent itself, Silver Mountain Water very accurately portrays what it suggests. Between the tea, black currant, mandarin orange, and white musk, you get an inky-sweet, tangy aroma that is reminiscent of chilly, windy air in high, snow-capped altitudes. I get the 'ink' note. It's a combination of the tea and black currant that creates an odd, sort of chemically sweet smell, but it doesn't remind me of toner cartridges, more like ink from a pen or well. I also find this accord pleasant and unique, and it can be interpreted in various ways. Do you prefer ink, or black currants coated in frost on an early spring morning? How about industrial stainless steel, or the glassy, crystalline surface of a river in January? It can go either way, and that's what's sort of interesting about Silver Mountain Water. I picture a white, snow-covered mountain with an ultraviolet stream running through it. In other words, I get a little bit of both--nature, as interpreted through a synthesized, futuristic chemical process. And it works. Practically speaking, this is best suited for spring and summer as it's quite cooling and fresh. Projection is strong and it can be sneaky, and longevity is very good. I get about 8 hours plus. SMW feels most appropriate for daily wear as it might be a little high-pitched for the evening. Though I really enjoy this and think it was composed with an intelligent, clever hand, I can't guarantee this as a safe blind buy. While it has plenty of fans, Silver Mountain Water also has plenty of detractors, and that's why it's best that you sample it first. One last thing: If you really like Silver Mountain Water, I also recommend checking out "Eau Radieuse" by Humiecki and Graef. Though it smells completely different, it has similar elements that create a sort of bracing, ultra-modern interpretation of nature that is highly 'synthetic' yet without the negative connotations typically associated with the term. Silver Mountain Water pretty much blends all of its notes into an amalgamation of sharp citric bergamot orange, somewhat bracing green tea and an underlying metallic accord that permeates the entire fragrance (I would say development, but I get none on skin). Projection is average and longevity is on the low-end of average at 6-8 hours on skin. I tried Silver Mountain Water years ago and did not care much for it, throwing out my sample. After having been impressed recently with another Creed release, Jardin d'Amalfi, I decided to purchase another sample of Silver Mountain Water to see if I was just too hasty back then... Well, to cut to the chase, the short answer is "no". This stuff reminds me very much of Creed's superior composition Millesime Imperiale that was released the same year sans the metallic accord, but with added watermelon up top and a bit of saltiness throughout. I think my primary dislike for Silver Mountain Water is derived from it being such a lazy composition that doesn't develop, and the underlying metallic vibe does not work. 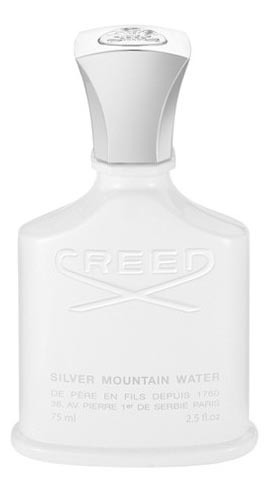 The bottom line is if you *must* have this kind of a fragrance by Creed before purchasing the overpriced slightly below average rated 2 to 2.5 star Silver Mountain Water, check out the equally overpriced Millesime Imperial for a more complete and polished presentation of the same base accord. After a long time of reading, Creed was at #1 in my wishlist. I read many people saying only good things about the fragrances and the house's history. Then i saved money and decided to buy some Creeds and lots of samples to confirm all that i've been reading about. I really expected something far superior from all other brands - and thats when i was really disappointed, maybe because i prefer heavy scents. 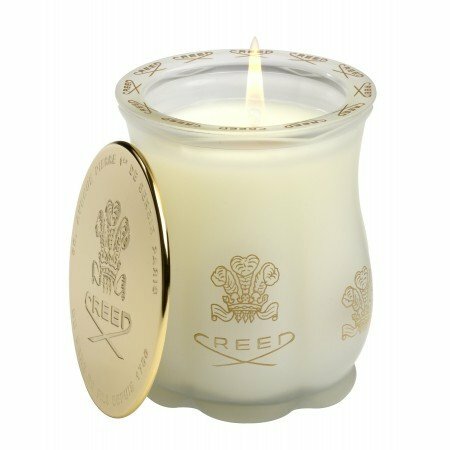 I did like 90% of the Creed fragrances i had sampled and eventually bought, but all of them are much less than many people say they are. That's the time i found out the word 'hype'. So, back to SMW, to my nose it's basically black currant, tea and a little of musk. Sometimes it smells a bit metallic. I dont get any wood notes at all. Great scent, fresh and subtle - safe indeed. But i dont think it's worth its retail price - way too overpriced. I pass on this and stay with Al-Rehab Silver, which is similar, costs 1/10 of this and has a stronger lasting power. To my nose, Creed SILVER MOUNTAIN WATER bears a remarkable similarity to the openings of Moschino CHEAP & CHIC and OH! Some serious organic chemistry synthesis has gone into this little test tube, er, vial. Not my cup of tea, although tea is apparently a note in this composition, along with others which I usually like. I just find that the overwhelmingly synthetic quality drowns out the natural notes. It's all too cold and forbidding. Not really masculine; not really feminine. It's so uninviting that I would label it asexual. Might be related structurally to some of the Calvin Klein liquids sold in gallon jugs and marketed as uni-frags to "modern" couples who dress only in black and white. SILVER MOUNTAIN WATER reminds me a bit of shiny chrome kitchen appliances: interesting to look at from a distance, prefer not to touch. Definitely do not want them in my home. SILVER MOUNTAIN WATER is cubic zirconium. Or cut glass. Olivier Creed's inspiration for Silver Mountain Water was the clean, crisp streams that rush through the Swiss Alps. Olivier, a champion skier himself, should know exactly how to put Switzerland in a bottle, right? Silver Mountain Water opens with a child-like punch of citrus. The bergamot and mandarin here are dried and candied, not freshly squeezed. As a result, the citrus notes are overall less sharp. Perhaps the neroli's bitterness prevents the bergamot and mandarin from seeming fresh. The citrus opening is unfortunately extremely short-lived. The heart notes are my favorite because of the sea scent, green tea and black currant. These blend nicely with the residue of the citrus top notes. I do pick up a little bit of sea scent or slightly aquatic notes, but they are vague. An inky note seems to present itself and its probably the black currant with its sharp, bittersweet nature. The heart notes evolve into a steamy cup of tea, perhaps even a nice Earl Grey. This note is slightly smoky, it has a light floral quality and just a touch of something aged. The base notes of sandalwood and musk are very subdued and quiet. These two notes give Silver Mountain Water a very light earthiness and animalistic quality to an otherwise fresh type of fragrance. Silver Mountain Water is a good warm weather fragrance. The only issue with this fragrance is its longevity. Silver Mountain Water fades out quickly, after about the 4 hour mark. Many fragrance wearers have complained about the longevity of this scent. Compliments inevitably will be handed out when wearing Silver Mountain Water. People experiencing the mild sillage of this scent have had positive responses. It's on my wish list. Loved the top notes and the dry down, not so much for the heart though.